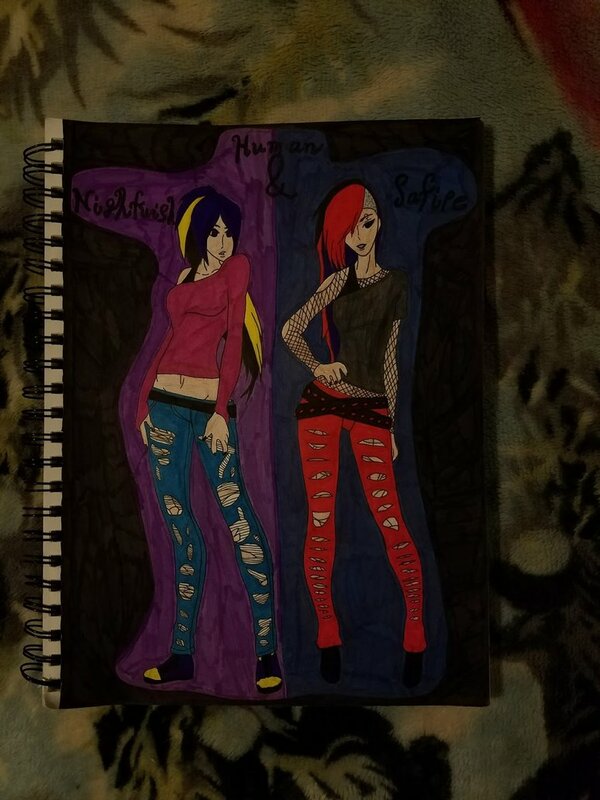 Nightwish and Safire yet again as humans! This time full body so you can see what type of style they have. Also, sorry if it's a little blurry. Takes place somewhere in book two, This Means War.